Help, My Dog Ripped His Dew Claw! 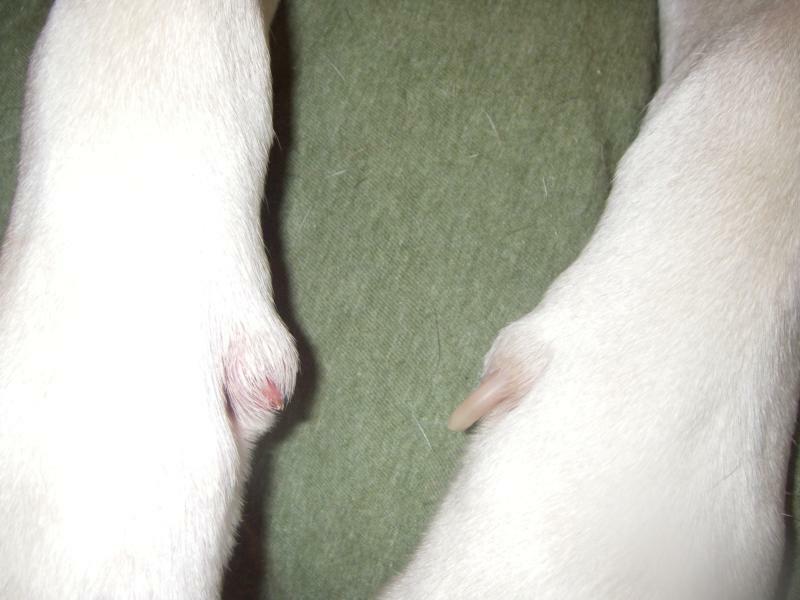 I had no idea how common of an injury a torn dew claw is in dogs until it happened to my American Bulldog last week. I ran into the Post Office for literally 2 minutes, only to return to find that Tucker was standing in the front seat of the car holding up a bloody paw. At first I was unsure where all of the blood was coming from, but then I noticed his dew claw was bent in a way that it was actually pointing out from his body, and realized he had torn his dew claw almost all the way off. A dog will not bleed to death from ripping a dew claw off, but it can be very uncomfortable, and their pain needs should be adequately addressed. Baby aspirin is safe for dogs to take, but you will want to contact a medical professional for dosing instructions if your dog has never taken aspirin before. If after a few days your dog is still in a great deal of pain or not using the affected leg, you should seek medical attention. 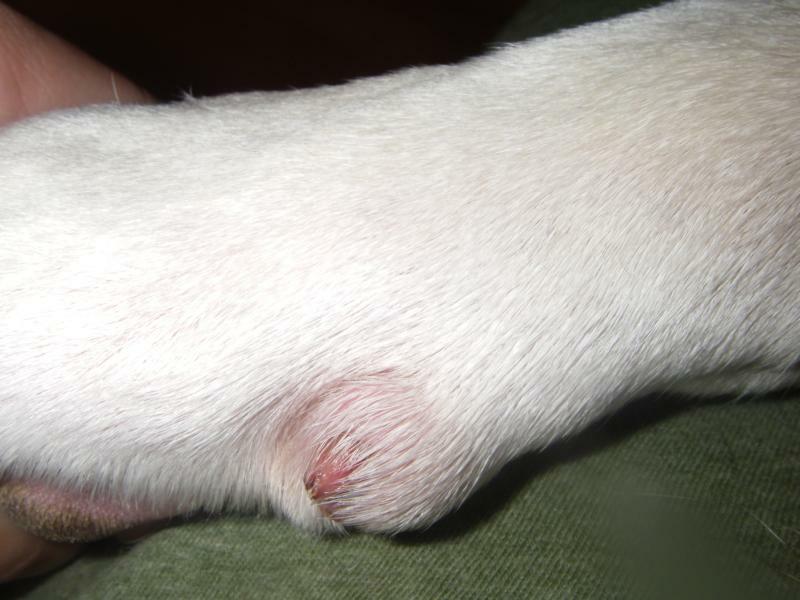 The most important thing to watch out for if you are self-treating a dog with a torn or ripped dew claw is to watch for signs of infection including pus, oozing, infection site hot to the touch, swelling, and intense discomfort. Keep in mind I am not a veterinarian or animal health professional, but below I will outline what we did to treat Tucker’s paw at home, and avoid a costly trip to the vet (you should always go to the vet in the event of an emergency such as uncontrolled bleeding or infection). The first thing I did was to get Tucker into the house and clean off his paw. I did this by filling a shallow pan with some water and putting his whole leg into it; do not use peroxide to clean the wound, it can actually cause an infection or make it worse (remember: if you would not put it in your eye, do not put it in an open wound). Tucker did not seem to be in much discomfort during this whole process, but he did become a little more concerned when I was putting water directly on the nail to clean out the area and see how much damage was done. Once the area was cleaned I saw that the nail was almost broken all the way off, and that the quick under the dew claw nail was completely exposed. I contemplated cutting the nail off entirely, but since it did not seem to be causing him any pain, I chose to just trim the nail down a bit to keep it out of his way, waiting to see if it would come off on its own. After trimming I applied pressure to the nail area and the bleeding stopped within a few minutes. I then applied some antibiotic cream to the area once it was clean, and decided to keep it bandage-free (it would have been difficult to comfortably put a bandage around the paw with the nail in the position it was in). The entire first day and night Tucker pretty much ignored the nail. It was only when he sat or laid in a way that the nail was touching something or smashed under him that he seemed to remember it hurt. Walking, running, jumping and being crazy really seemed to have no effect on him. When he did bump the nail on things he went ahead and licked it a bit, which I allowed as long as it was not too soon after an application of antibiotic, and this was stopped when it became excessive. The second day, in the evening before I was getting ready to apply another round of Neosporin (I was doing this 3x a day), Tucker shifted his position in his dog bed and the nail popped off! There was no crying, no bleeding, and really no major issue when this happened – it just now was easier for me to take care of. After the nail came off I cleaned the area again with water (I used salt water this time), and applied some Neosporin, covering the area in a bandage for the evening. I am no longer bandaging or applying Neosporin to the area, and it seems to be doing fine. The quick is still exposed with no sign of nail formation, but I have been reassured that this is normal. There has not been any sign of infection and Tucker is not bothered by it in the least. I was a bit concerned with him going outside with the wound exposed, but it has not caused any issue, and I am letting Tucker lick the area as he feels necessary (which is usually just for a few minutes when he comes inside and first thing in the morning). After 6 weeks the nail is FINALLY starting to grow back. Tucker has a little bit of a stub coming out and the nail looks somewhat dark, but otherwise normal. These last weeks have really been a breeze, and Tucker did all of the work himself after the first week of bandaging and antibiotic application. The nail looks great and Tucker is feeling good. Since the incident we have been making more of an effort to do nail trimming more frequently so we can avoid something like this in the future. Tucker’s nail was broken horizontally and vertically – it split up the side as well as broke across the entire nail. what type of antibiotic ointment did you use and where did you get it? mY dog has a dew claw infection, the nail still seems to be in tact but it is really swollen and irritated. Thank you so much for your information- it was really helpful. My greyhound ripped his claw tonight while he was outside. was the dew claw dangingling? My lab did this last night, and her dew is turned almost sideways, but it’s not dangingling, it seems kind of firm. I think she’s in some pain as she hid under the baby’s crib and she never does that. She never really fusses, very laid back dog, but you can tell she’s very uncomfortable. I’m just wondering if it’ll die off and fall off in a few days, or if it’s firm like this, do we have to have it done. Our vet appt. is at 12:45 and I just know we won’t be able to afford what they prob. want to do. What did you end up doing for this? My dog had the same thing happen today and I’m not sure what to do! My German Shepherd was fence fighting and got her dew claw caught in the fence and tore it out. the nail was exactly as your dogs was (sticking stright out from her leg). it was bleeding a lot so i put pressure on it got it to stop and bandaged it with gause. i took her to the vet and he was very nice. he said that she had fractured it and it needed to be removed.he wanted $400 and im in college so i dont have that much money. he said that if it was broken horizontally that it could heal with care at home but if it was broken verticly it would just keep breaking as it grew. so he showed me how to wrap it and gave me some things to use and we took her home.so far she is doing good,walking and jumping. when i change her bandage it is always full of blood and i change it every 1-2 days.yesterday i went to change it and when i got it all cut off the dew claw was completly off and further down her paw. today she is doing fine i havent changed it yet but i dont see anyblood soaking through the bandage. hope this helps others that this happens to, and thank you for your help also. My dog Belle just ripped both her front dew claws this morning while fence jumping. She is half Boxer and this breed can easily jump a 6 foot fence. I can’t keep her from coming and going as of yet but this will surely keep her home now. The claws are both sticking out away from her legs. I had to hose her legs off outside she was covered in mud(it had rained earlier)and then saw the injury. It didn’t bleed much and since she has been licking them they seem to be better. I also put neosporin on them. She is eating and drinking water.The area is sore because she lifts up one and than the other foot.I have a call in to my Vet to see what I can give her for pain. It is good to know that they will heal on their own and I don’t have to take her in and have a vet bill I can’t afford right now. This was very helpful info for me. Is baby aspirin a blood thinner? Will it cause more bleeding? Aspirin will cause the blood to thin and will increase the time it takes to clot. If you’re giving your dog aspirin it’s recommended you consult with your veterinarian to ensure you are using the proper dosage. our boxer came to us missing a dew claw, and his other dew claw he bites off every fee months, it keeps on growing back in! I guess it bothers them otherwise how would they know to bite it?! Glad this article was able to help you all with some of your questions! Tucker again ripped off one of his dew claws tearing around with some doggy buddies. Same thing again with regard to treatment and recovery, and he is doing fine! HELP, my lil one did damage to her dew claw but it’s not bleeding and nail is in tact. It use to be facing forward now bent outwards & she won’t walk on that foot- she’s a chiwawa mix very small dog- it’s hard to tell what’s wrong, when I don’t see any blood, or damaged nail. My dog broke her dew claw, it’s split in half with a very small sliver of nail on one side. The quick is exposed & after a day it’s still bleeding slightly. Should I cut the nail as close to the quick as I possibly can? Will that give her some relief & allow the new nail to grow back as one piece or should I wait to see if it falls off? I thank your website for all the info on dog ripping dewclaw. It helped relieve my own worries about my dog’s injuries. Sometimes the best is to let the dog care for their wounds as mine did by licking them. A ripped dew claw ( or both) is very painful. I did give her some Previcox (which I had) for pain according to weight. I didn’t have to see a Vet merely made a call to verify the Med amount. This saved me a Vet bill which at that time I could not afford. My dog Belle’s dew claws did fall out about a week later and they have since grown back. Belle rarely jumps the fence now. I think she has only gotten out once since the accident. I am sure it is a painful memory and lessson for her. Very helpful article! Thank you very much for sharing this information. My dog tore one of her dew claws this past Thursday when she was playing. It was bleeding but it did not seem to bother her that much, the hardest part was trying to keep her off the carpeting until the bleeding stopped. Than last night (Saturday) she was playing, the injured claw got snagged once again and got to torn even worse! About an hour after we bandaged it up, she tore her bandage off only to reveal that her dew claw had now fallen off! At first I freaked out, I honestly did not know what to do at that point and was debating whether or not to take her to the 24 hour emergency vet downtown. But, she seemed to be doing a lot better now that the broken claw had finally fell off. There is still a little part sticking out of her leg (underneath the actual dew claw) where the claw did not break but since the broken part of the claw has now fallen off, she seems to be doing a lot better and the bleeding has completely stopped. I will continue to monitor it, keep the wound clean, and apply Neosporin, and hopefully I will be able to avoid a trip to the vet. I noticed in your article you used salt water to clean Tuckers wound, does it clean the wound better or have any benefits? I know it probably hurts putting salt water on an open wound. Is there anything else I can do to speed up the process of healing? I have been cleaning it & keeping his activities to a minimal. my baby girl is a chihuahua, and she was playing tug-war with some young kids, i guess not realizing how are or ruff they were playing, but its a rope (a dogs toy), and Daisy would wrap both hands around it, put a grip ,pulling it, while they hold it straight up, but anyway it ripe the nail all the way off, it bled right much, and i could tell she was in pain, a good 3-4 days, but she would steady lick it, but the day afterwards, it had already started growing back, to me that was fast, but its been now 6 months, and now she cant jump up on my bed, which its a good height, but always b4, barley jumps up to counch, it seems like its messed her up from jumpin, and now when tug-war is played, she will grab, but wont hold it 4 long, sometimes she will start to grip with her claws, and pull away, she hasnt forgot what happen, but my concern is what affect did it do to her jumping up??? Don’t Linda worry the dew claws pretty much heal themselves. The bad news is this can happen again. Dogs run and play ruff. Sometimes it is better to let the dog lick and take care of the wound themselves. Bandages or bandaids just don’t work. A little Neosporin sometimes helps too. I just noticed it tonight on the walk. My pitbull’s dewclaw is still attached but the quick is exposed. When we got home, I gave her a warm bath and let her feet soak in the warm water with a bit of soap. She had to wear the muzzle because she kept trying to nip me. It’s very painful for her. If I touch it slightly she whines. I put Biocaine – it’s medicated cream specifically for pets – on it and lightly wrapped it in gauze but she took the gauze off. She keeps trying to lick it and I don’t know what to do. It’s not bleeding but the vets aren’t open til Monday. I am not sure if I should just let her lick it or pull it off or do whatever she has to and then take care of it. It only hurts when it is touched. Other than that she is running, jumping and playing. If you look at the nail, you will not see the bloodline under the dewclaw because it is sticking out from under it. My pit bull ‘ dozier ‘ sounds to have same exact thing to his dew claw. What treatment did you end having to do? I already read I’ve done one mistake by using hydrogen peroxide on claw. Beware of giving a Labrador or Lab cross aspirin. I poisoned my Lab with an aspirin when he was sore after an agility competition. He was vomiting all over the motel room. I gave him water and bread to ease his stomach and he came out OK. I found out later that Labs have this sensitivity. Junior tore off a toenail and the nerve is exposed. The nail is missing to the hairline, but the complete nerve is still on !! I was able to get bleeding stopped. Have put antibiotic on nerve 3x a day, he won’t leave a bandage on. Will the nerve just dry up as the nail regrows from nail bed ? Unable to take him to the vet. A sensible and well-written page. Thanks for writing it, and for adding the updates. My Bulldog has ripped his dewclaw. The bleeding has stopped and he’s not bothered with it at all. This site has put my mind at rest ( was going to rush him to the vets), He let me bathe it no pain. But he is pretty indestructible . Thanks for this!! My pitty just tore off his dew claw while playing around and I didn’t even notice it until a little bit later on when I saw blood on his paw. I was worried it was serious but after doing some research I realized it was not a big deal. I have been putting Neosporin and bandaging it for 2 days now. I also give him Metacam for pain and inflammation relief. I was just wondering how long it would take to heal and for the nail to grow back. He’s very high energy and I want to let him run around and play as soon as possible. I cant seem to get his paw anywhere near water to clean the wound! Our Jack Russell tore part of his dew claw off and we applied Neosporin, Bactene, and bandaged the paw with vet elastic wrap. He did try at first to take the bandage off, but after repeatedly telling him no, he quit. If the quick is still intact, the claw will grow back. Evidently, this is a somewhat common injury for playful dogs, but if there is pus, yellow/green discharge, or swelling; TAKE THEM TO THE VET! There is an infection there that could become serious. My Bordeaux/Staffy ripped his dewclaw off completely to the nerve..it bleed a lot and after a week, it still bleeds! It does look better and not so raw and I almost brought him to the vets too. I was glad to read in this article that you didnt and just did as I have been doing. I wash it in tree Oil medicated shampoo, spray anti-bacterial spray for dogs on it, let that air dry, then i put neosporin and a cotton swab with a flex-bandage wrap. Now that I know, 6 weeks is about average, I will just keep doing that in between letting it air dry. Hi, My APBT banged his dew, claw, seemed to have sprained the actual thumb, soreness swelling and bleeding from the side of the nail. Soaked it in warm salt water, twice a day for a few days. It was tender so best not to agitate him, the dew claw seem to be dying off changing color, but is fully intact but elongated. no fold retraction. anyone know if the claw if dead will fall out ? He isnt keen on the vet ” growls ” but if it has to be removed hes just going to have to play nice. cheers. My pit bull was playing with his ball and slid into the leg of a chair and broke his due law of course I freaked out due to he was in a lot of pain there was no blood but he was crying allot so the next day he was still in allot of pain he at some point tore the nail off after reading a lot of posts this seems normal cause he was hurting and that was when the blood started so we soaked his paw in Epsom salt put some neosporin on it and wrapped it so he would leave it alone due to he was constantly licking it we do this treatment twice a day my question is am I doing the right thing ???? My Carin Terrier just ripped her dew claw and won’t let me near her without trying to bite me. She keeps licking it and my Vet is not open it is Sunday. I don’t know what to do. I do not want to get bit. She just keeps licking it and growling at me. Anything I can do til I can call my Vet. I’m afraid she is going to try to bite it off. Can anyone help me and my dog? As a breeder for 10 years (Chihuahuas) and an animal lover I have helped many dog owners who can not afford high vet bill with this situation and other such injuries…first if your pet is in pain and will not let you touch then try soothing by talking to comfort them, next try to secure them in blanket or towel to restrain but without causing them distress (use baby Benadryl to relax them – follow dosage like it was your 2 legged child…common sense here folks, after they’re calm thoroughly clean area with warm water apply an antibiotic ointment and wrap to allow healing to start and to avoid infection. DO NOT give any aspirin, Tylenol, or ibuprofen to your 4 legged baby! The following day remove bandage to allow fresh air to resume healing process just keep an eye out for infection but in most instances they will keep it clean themselves and will heal just fine without any need of assistance from you or a vet. 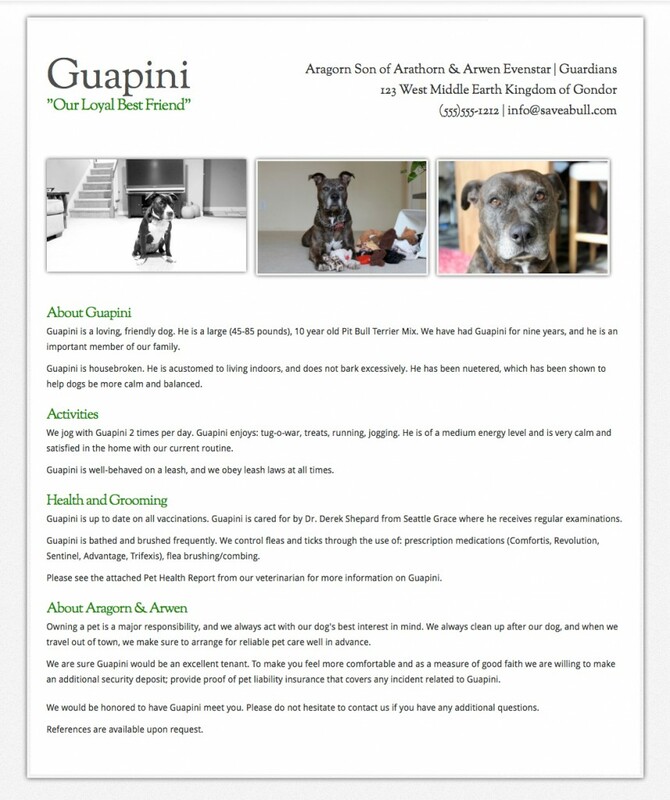 I love my dogs and spoil them as I did with my children and in my experience most problems are caused by our need to over protect and pamper what nature, a little pampering, and time will fix. Just happen to my Boston Terrier. Nail not all the way off. it is kinda just kicked to the side. just torn where wick is exposed. Keeping it clean, but she continues to want to keep licking it. Any suggestions? Feeling REALLY bad for her. Our Boston terrier tore her dew claw while we were out on a simple walk last night. I have seen very little bleeding, but the claw is still there, just kinda facing outward, pointing out to the side. She wants to lick it, but its not constant and seems to have some discomfort, But she still acts fine, just i can tell it does bother her some and its just got me worried about it growing back in the weird direction it is in now or will it fall off and a new grow back? Just worried about infection as well and would love to take any pain away. She cautious of it, but other than that seems to just want to doctor it herself by licking and doing her on thing, Any ideas on self medicating or do we need to make that costly trip to the vet? My golden somehow ripped out his toe nail (not the dew claw) on his back left paw I think on Friday or Saturday 2-3 days ago. I’m not sure how it happened, but anyways. I’ve been soaking it twice a day in sea salt and warm water, drying it off, applying neosporin and putting a sock on it. I’ve been also using a q-tip soaked in salt water to get the Indy bit of ooze off. I’m concerned that a little bit of losing is a sign of an infection but then there are contracting information on this part. Is there anything els I should do? My friend told me to disinfect the area with diluted betadine. Thoughts? Thank you so much for information. Especially about them licking, I heard it can infect or heal. my 2 year old lab pit mix tore her dew claw in half horizontally, we went to the vet and had to have it cut and cortorized. Was sent home ant told to do antibiotic for one day and wrap it for one day.. that did not work.. a week later it turned swollen and infected, i had to take her back and 2 weeks of antibiotics and antimfiammatories. she is to be bandaged daily with a nightly cleaning of the claw with bactine, Neosporin, gauze and wrap. It is finally healing,,this is not a fun experience to go threw. this was my first option, if it does not heal it will have to be removed. I hope this is helpful.